Marie Antoinette famously said “let them eat cake” or not, depending on who you ask. However Cake Delight are now supplying Whales and Snails with cupcakes, so the adults and toddlers who visit Whales and Snails can now eat delicious cupcakes, handmade at Cake Delight. Over the May Bank Holiday Cake Delight sold some lovely vanilla cupcakes at Whales and Snails. The adults who took their kids could put their feet up with a cake as the youngsters played happily. Cake Delight will also be supplying Whales and Snails with some amazing cake packages for their brilliant children’s birthday parties. 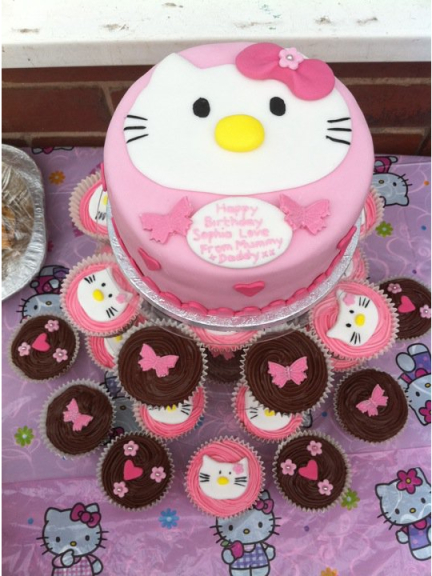 They can create themed cakes, diet specific cakes and more. Even if you’re not holding your children’s party at Whales and Snails this year, Cake Delight can still hand make a cake for you. They even have a delivery service, so the cake isn’t broken in transit. Another activity Cake Delight are planning to do is to hold cake decorating sessions with the little ones during toddler mornings. As mums themselves, Cake Delight know how enjoyable this is. Cake Delight aren’t the only new visitor to Whales and Snails. Minnie Mouse is now available to visit birthday parties. Her partner Mickey is coming very soon.